0930live! 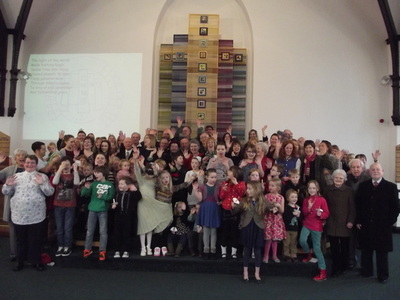 has grown to be much more than just an early morning Sunday Church service with families in mind, it has also developed its own lively social scene. An important fixture in the 0930live! calendar is now the annual camping trip at the start of the summer holidays! We also hold social events and other fun activities so watch out for more information! In February, 2014, 0930live! celebrated its 10th Birthday with a big party with lots of games and food and over 90 people attended. 0930live!, like all our services is for anyone and everyone; but is specifically designed with young people and families in mind. Typically, 0930live! 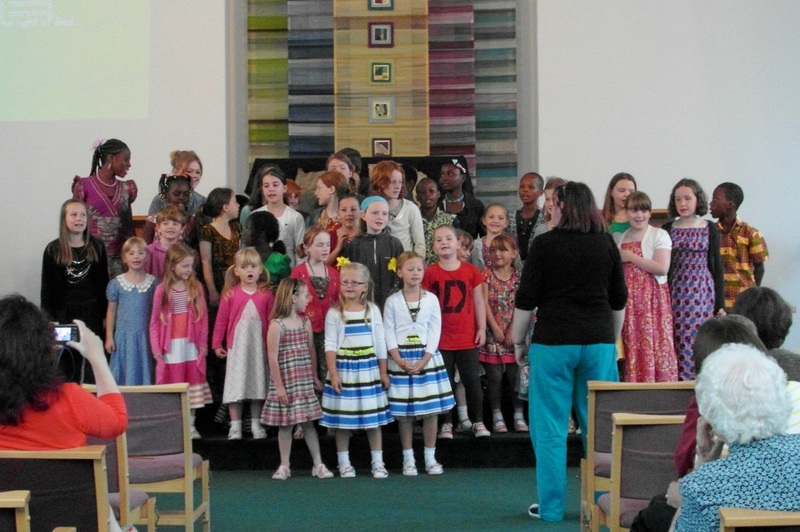 contains lots of singing, sketches, drama and participation by the young people. There are also often short talks and prayers. The service is run by our young families in conjunction with other leaders of worship from our Church. The service is short (usually lasting for half an hour) and is followed by tea, coffee & juice and bacon butties & biscuits in the church hall at the rear of the premises. 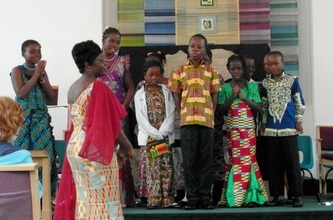 We also sometimes share in Baptism services at this service too. 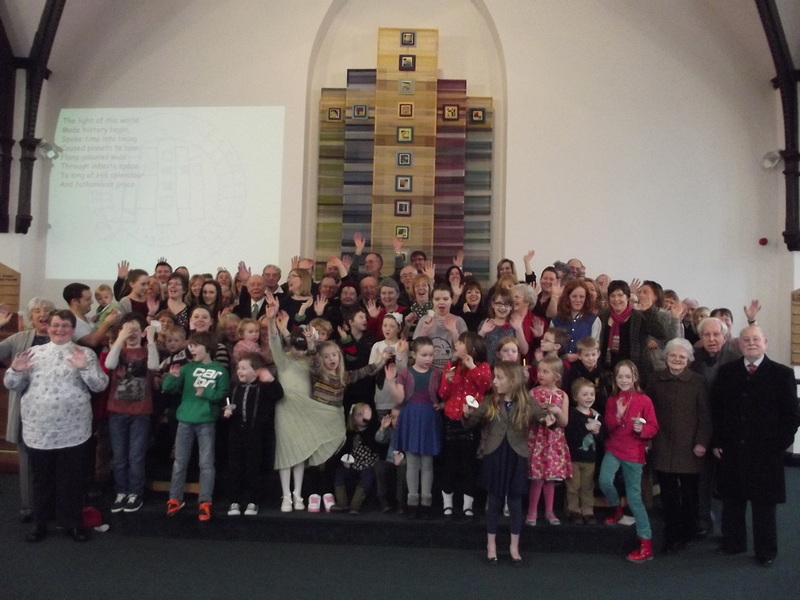 There are now nearly 40 children, from babies to 18 years, who regularly attend 0930live! Wow, no wonder the hall after the service can feel so energised! 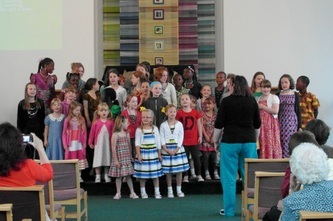 We really want all our children to gain as much as possible from coming to church, and also to be involved. So we have started some groups to meet after the service where the theme can be explored further. Young Minds (Year 6+) meets with Simon Kelly on the 2nd Sunday of the month, sometimes they will be discussing that week’s theme, or maybe preparing material for the following service. KS2 children (Juniors) will meet each week to watch a short video followed by discussion. There will also always be a craft activity available for the younger children. We are starting a young band for anyone who has achieved Grade 1. This will meet on the 4th Sunday after the service – all are very welcome to come along. We also hope to start a young singing group and are planning to get the adults singing for Christmas and special events too.